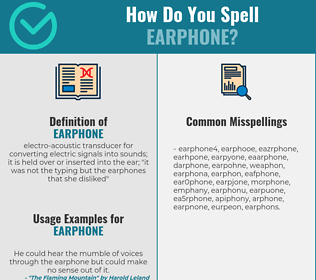 How Do You Spell EARPHONE? 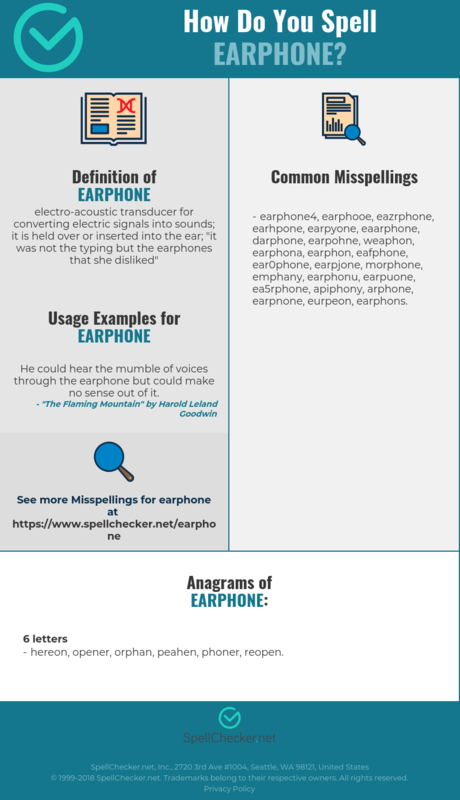 Correct spelling for the English word "earphone" is [ˈiə_f_əʊ_n], [ˈi͡əfə͡ʊn], [ˈi‍əfə‍ʊn]] (IPA phonetic alphabet). Below is the list of 222 misspellings for the word "earphone". electro-acoustic transducer for converting electric signals into sounds; it is held over or inserted into the ear; "it was not the typing but the earphones that she disliked"